1: Solid Tulipwood made, moisture content within 8-12%. 2: 5drawers at the front surface, 3 pcs the same, another ones the same. 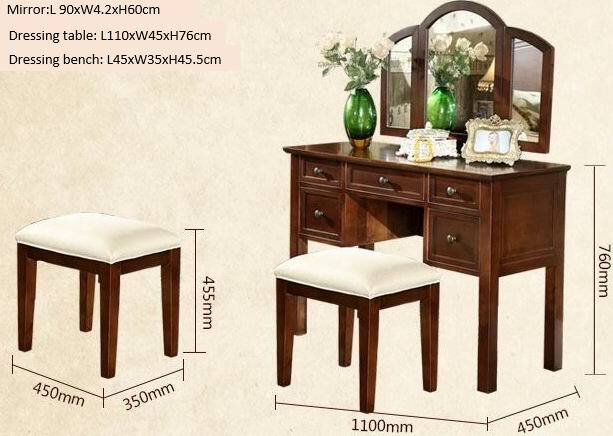 4: Mirror, same finish with dressing table & dressing bench.